Ships tomorrow if you order in the next 21 hours 31 minutes. 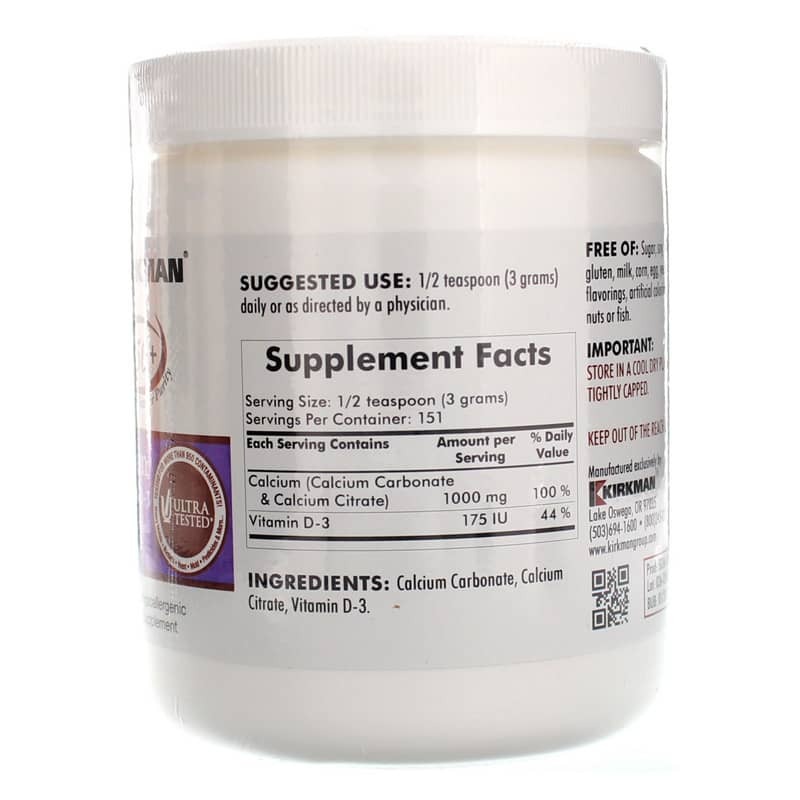 Calcium carbonate and calcium citrate are the two most commonly used forms of calcium for supplementation. Calcium carbonate is popular because it is inexpensive, doesn't cause discomfort and is a good source. Calcium citrate is recommended for individuals who don't have enough stomach acid production, as it dissolves somewhat better for them. Vitamin D is often combined with calcium in supplements because it increases its absorption. 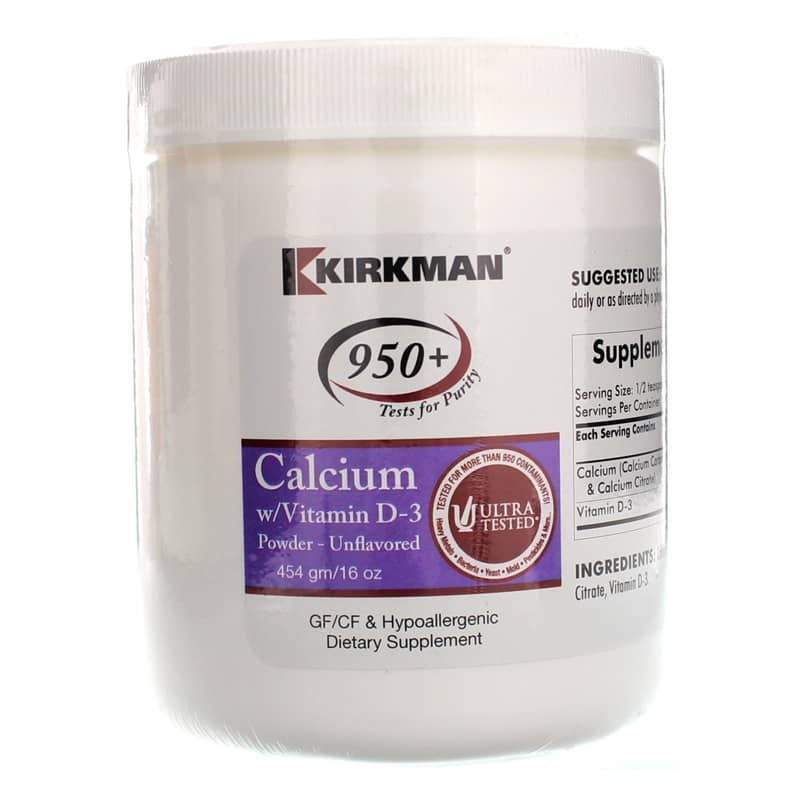 Kirkman offers a hypoallergenic natural supplement called Calcium with Vitamin D-3 Powder - Unflavored that may support healthy bones and teeth. This formulation has gone through ultra testing for more than 950 contaminants like heavy metals and pesticides. 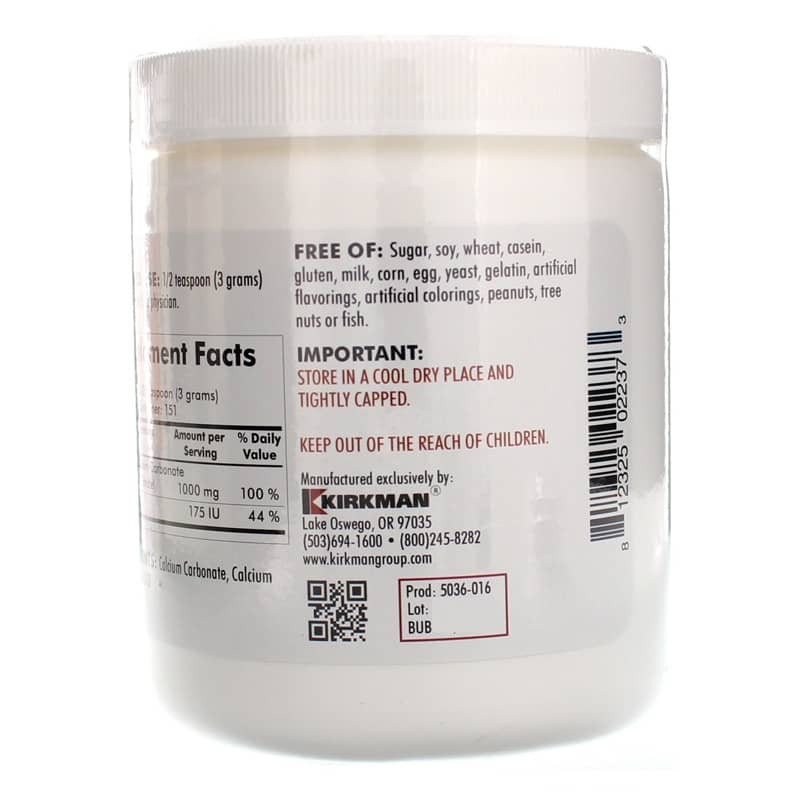 It does not contain most common allergens, including soy, sugar, wheat, corn, gluten, casein, egg, milk, gelatin, yeast, fish, tree nuts, peanuts, artificial colorings or artificial flavorings. If you're looking for a hypoallergenic calcium supplement for healthy bone and teeth support, check into Kirkman's Calcium with Vitamin D-3 Powder - Unflavored. Order online today! Contains NO: Sugar, soy, wheat, casein, gluten, milk, corn, egg, yeast, gelatin, artificial flavorings, artificial colorings, peanuts, tree nuts or fish.